This extension allows you to set a VAT rate to be automatically added to the total checkout price. 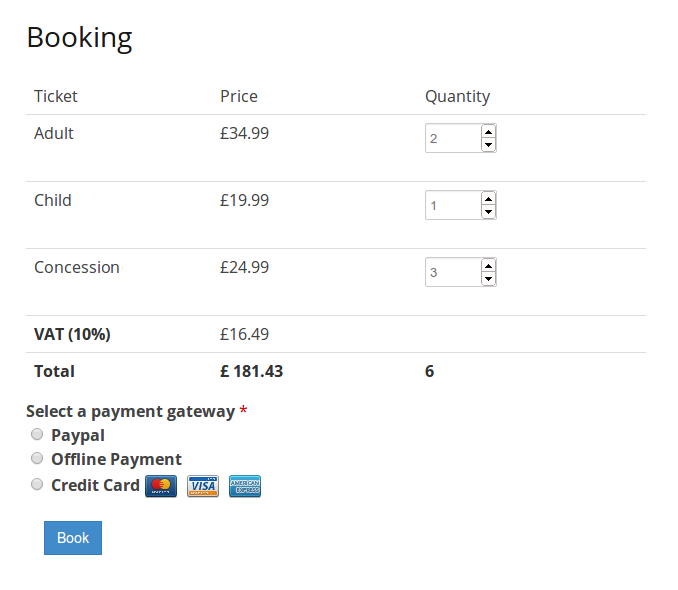 Ticket prices should be given without VAT applied when set in the admin. To set the VAT rate go to Settings > Event Organiser > Bookings.